Replacing your old inefficient air conditioner is a very expensive proposition — You’re about to make a ten year investment that will either pay huge dividends or cost you a bunch of money in the form of wasted energy, endless repairs, comfort problems, high humidity including sweating problems that may lead to mold and premature replacement. Improperly installed AC equipment won’t last five years. ECM is the right AC contractor for you! Contact us today. What makes ECM different is simple; we are the best at engineering our jobs for maximum efficiency, maximum comfort and maximum energy savings, which in turn increases the life expectancy of your equipment, while saving our customers more money in the long term than any other company. The main purpose of heating, ventilation, and air conditioning (HVAC) System are to help maintain a healthy indoor air quality through a balanced air distribution system, proper dehumidification, and filtration and the ability to provide even temperature control throughout the home. At ECM, our comprehensive home survey is a total home inspection for the purpose of identifying air conditioning deficiencies in your home causing high energy bills, high humidity and comfort problems, such as undersized ductwork, airflow restrictions, sweating equipment, sweating ductwork, broken or crushed ductwork, ductwork air leaks, mold or fungus in the system, hot rooms, poor duct design, poor equipment location, cut trusses and water leaks. Proper airflow will account for as much as 50% of your new systems cooling capacity. All ductwork must be inspected and measured to determine its maximum airflow capacity which is based on its actual size. Our Solutions to your problems, modify your duct system to match the new air conditioners airflow output, modify your duct system where necessary to provide a balanced airflow distribution, increase duct sizes to rooms not properly balanced, increase airflow to each room where temperature differences has been identified, balance duct system to achieve maximum seer rating of your new system. ECM install nearly 3,000 air conditioning system per year and through time we have estimated that over 80% of all return air grills are under sized. An under sized return duct and grill will starve your air conditioner of much needed air. ECM will measure your return filter grill and return duct system. We will identify the problem and show you a drawing of problem with our solutions. Identifying hot spots in your home will help us in our effort to re-engineer part of your ductwork including individual branch lines to balance the airflow to any hot areas in your home. The size of each duct running to each room actually determines the cooling capacity provided to each room. Performing an actual heat load calculation of your home is critical for proper equipment sizing. The old method simply was to calculate 1 ton of air conditioning for each 500 square feet of living space. And even though that rule may still work for most homes, we recommend a load calculation be performed. 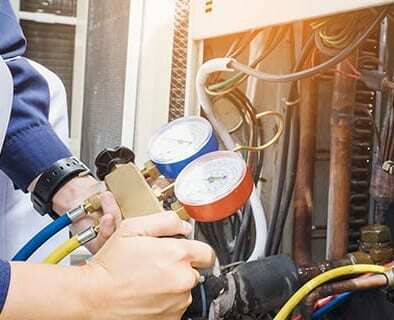 A good installation will provide the following benefits; 30% lower electric bills, $50-$150 per month electric savings based onequipment SEER chosen, $6,000 to $18,000 dollar electric savings over a 10 year period based on equipment SEER chosen, increased equipment life (3 to 5 years), less frequent breakdowns, less repair bills, better home comfort, lower humidity, better air distribution and more precise even temperature control. As part of our inspection ECM will open your electrical panel and inspect the circuit breakers, the condition of your box, the condition of the wires and the size or gauge of your electrical wires. ECM will make sure your existing wiring is capable of handling the electrical amperage without overheating. If any wiring is required ECM will pull an electrical permit. When replacing the outside condensing unit, ECM will make sure that the existing slab is big enough and meets the required codes. The code requires 2″ inches of exposed concrete slab around the entire new condensing unit. Also make sure the electrical disconnect box is not located directly behind the new condenser. Charging a new air conditioning system is best done by practices recommended by the equipment manufacturer. Using Electronic Chrging Manifold Gauges is a must and the only way to get the charge correct. Simply adding Freon based on pressures won’t cut it. An overcharged or undercharged system won’t operate efficiencrly. Pulling a permit to replace your air conditioner is the law. It protects you the homeowner not the contractor. It forces a contractor to perform a safe and legal installation without taking shortcuts that could damage your home and even put you at risk of a fire! If a major accident occurs due to an illegal installation you may find that the insurance company will not pay. When you choose ECM you are purchasing total peace of mind protection from one of the most trusted air conditioning companies in Florida. 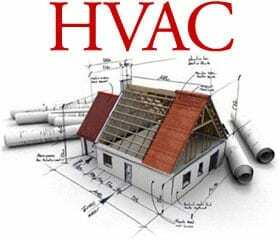 You are getting a professionally engineered air conditioning installation designed for maximum performance, efficiency, comfort and reliability. At ECM you are totally protected for one entire year and we will make it right no matter what! Your quote includes a Free In-Home Assessment! Contact us today.